Look, they both are caring each other very much. Hope that they can maintain this type of nurturing when they both are grown up. Parenting is one of the important courses that all parents must not miss it. Buddha said “parents are the primary teachers of all students”. 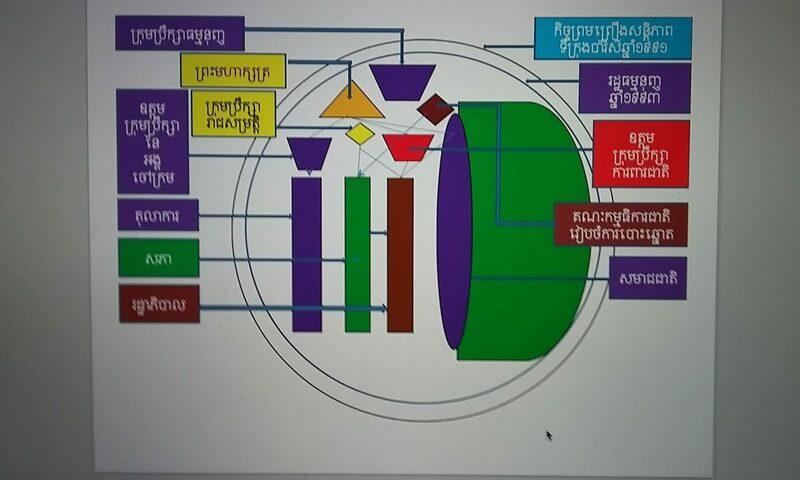 With this regard, how many Cambodian parents are aware they are the primary teachers, they are aware that they must raise their children like teacher and student? Talking about teachers, they must possess teaching pedagogy. Has any school in Cambodia run a program called “parenting pedagogy”? I do hope that all Cambodian parents must be properly trained in “Parenting Ability”. Parenting starts with its two principles: using discipline and avoiding the use of punishment such as yelling at, scolding, spanking, wiping or beating etc. in raising children. Discipline approaches are started by having parents are playing role model for them, having parents use the method of few warnings first before timing out, having parents praise and encourage them more than blaming or criticizing them, having parents playing with them diligently through “learning by playing”, having parents that listen to children longer and more often than forcing children to listen to them, and having parents engage with them in solving the problems rather than pushing them to handle problems alone etc. Parenting courses have been endorsed by many civilized countries. In Canada, the government spent a lot money to operate parents-children policy. They open Family and Children Service Offices at every commune and section of the municipality. Schooling cannot happen only at the kindergarten or primary school. Schooling means parents must possess sufficient tool to lead by role model to children and understand how to raise children in a proper way. Schooling means free time at home, children can watch their favorite cartoons on TV channel that encourage children to work in a team, to be bravery, to solve basic problems, to love themselves, friends and neighbors, to nurture birds and nature, to love reading, to conduct physical exercising and be aware in hygiene etc. When parents are equipped by parenting leadership, children are also equipped by younger generation leadership. The word of Lord Buddha on “Parents are the former or primary teachers” are truly practicing in modern world and all parents must follow the teaching by developing themselves on the pedagogical parenting.